I love to make fried eggs and serve them on English muffins for breakfast ... and, I like my yolks runny. To me the yolk of a fried egg is one of the best sauces nature can produce. Biting into a sandwich and piercing a yolk provides a rich and creamy enhancement to everything else included in the bite that ketchup, mustard or mayo could never match. If I have to choose a breakfast bread for a sandwich there is no competition — English muffins. Toast them up. 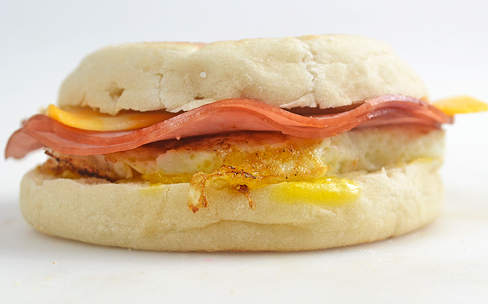 Add a fried egg, ham and cheese — that's pure breakfast bliss for me. I made two ham, egg and cheese English muffins for myself yesterday morning and I enjoyed every bite. I wish I was motivated enough to make breakfast like this everyday but unfortunately I'm not. Until then, I will savor the moments when I get to stuff my face with such yummy grub! In a fry pan over medium high heat sear ham slices until little brown bits appear on surface, 2 to 3 minutes per side. Add a little oil to skillet. Cook eggs over easy. Salt and pepper to taste. While eggs cook toast English muffins. Once eggs are done and muffins toasted, stack eggs ham and slice of cheese on muffins. Then serve. While growing up in the rural Midwest I overheard a number of conversations between grown men boasting about the number of quarts of green beans they had harvested and canned from their garden, as if they were talking about the number of women they had bedded at the local bar. Snapping and canning green beans were just a normal part of summer when you're raised in Churubusco, Indiana. I like green beans, but I want them dressed up. Plain, steamed beans really don't do much for me because I don't think they have much flavor. In my experience they are best as a canvas to paint flavors on. Green bean casserole is one of my favorite dishes — what makes it, is the creamy mushroom gravy and french onions — the beans are just filler. With piles of green beans currently at my finger tips, I decided it was time to do something fun and have them co-star in a stir fry. I precooked the beans in a microwave steam bag first because I wanted to get them 90 percent cooked and could finish them as they heated through with all the other ingredients. My stir fry flavors start with ginger, garlic and onion and have a yummy sauce made of hoisin sauce, rice vinegar, sesame oil and teriyaki. These ingredients could make any garden vegetable delicious, and are my go to ingredients for stir fry. For protein I choose chicken. All of this is served over a bed of rice. To my surprise it really went a long way, with just a pound and a half of chicken and a pound of green beans I was able to make enough to easily feed four people. Green beans aren't the sexiest vegetables to feature in stir fry, but this is a tasty way to enjoy them — weather you buy them on-sale at the store — or you're shoveling buckets of them from the garden. 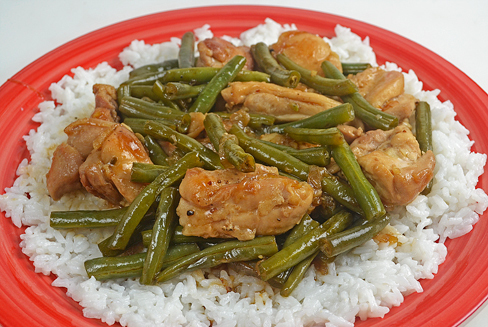 This is a great way to eat green beans. Place green beans in a microwave steam bag, season with salt and 1 tablespoon of water. Seal and microwave on high for 3 1/2 minutes. Let rest 1 minute more. Open and set aside until ready to add to stir fry. In a large pan or wok over medium-high heat, brown chicken in a little oil until cooked through 6 to 8 minutes, stir occasionally. Salt and pepper to taste. Remove chicken and add onion, cook until soft, 3 to 4 minutes, season to taste. Add ginger and garlic cook 1 minute more or until fragrant. Add beans and chicken to pan. Stir in hoisin, vinegar, sesame oil and teriyaki. Cook until heated through 5 to 6 minutes more, stirring frequently. Serve over rice. Over high heat in a pot toss rice in a little oil. Add two cups of water, cover and bring to a boil. Reduce heat and let simmer 10 to 12 minutes. Turn off heat, keep lid on tight and let rice steam 10 minutes more. Remove lid and fluff with a fork, then serve. I purchased a 3-pound family sized package of ground beef and divided it for a couple of different meals. One half became cheesy verde burgers and the other half I turned into taco meat! Cooked ground beef seasoned for tacos can become an element of several meals like nachos, taco salad or even pizza. Its not limited to just tacos. For a person cooking for themselves or cooking ahead for a family member, seasoned taco meat is absolutely perfect. It stores well and can be frozen. When I was in college my mom would make 5 pound batches of taco meat for me to store in the freezer. I might have ran out of money for beer on a regular basis, but I always had meat for a plate of nachos. The hardest thing about eating leftovers is having the same meal on consecutive days. With taco meat you can change up all the things surrounding it and give the leftovers a nice variety. For the seasoning I use my homemade American Taco Spice. It's versatile and can be used to season any cut of meat for grilling (like Pork Chops) but its main purpose is to be a cheaper, fresh and more flavorful replacement of the store bought taco seasoning packets that are loaded with sodium and preservatives. Out of a 3 pound package of ground chuck intended for a family, I was able to make 4 burgers and 3 serving of seasoned meat for tacos and nachos. That's making the cheaper bulk packages work for the single cook, which can be difficult, because it seems everything at the grocery stores is packaged and sold to feed a herd. In a skillet over medium-high heat crumbled ground beef, mix in taco spice and cook until browned and cook through, 6 to 8 minutes. 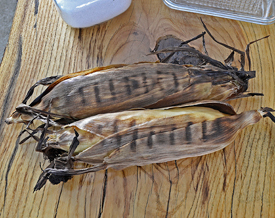 Remove from heat and serve or let cool, place in a freezer bag and store for later use. Mix together, store in a tightly sealed jar. Warm shells in microwave or oven for a crunchier bite. Stuff shells with meat and toppings. Grub! Spread chips on plate. Top with meat and cheese, Heat on high in 45 second intervals with a minute rest between until cheese is melted. Top with tomato, onion, sour cream and salsa. I bought a 3 lb package of ground chuck on sale and decided I would make it into my weekly bargain buy and turn into several meals for myself — but it could just as easily feed a family on one or two occasions. First thing I wanted to make was burgers. So I divided it in half. Half would become 4 patties, the other half ... that will be my next post! I took the half and split it into quarters, then formed each into nice round patties. I seasoned both sides with salt and pepper and preheated the grill. Once I threw them on I let the first side sear for 5 minutes then flipped. The second side I let go two minutes before adding a slice of cheddar jack cheese, which melted all over the patty during the final 3 minute cook. I pulled the burgers and rested 10 minutes before assembling a sandwich. During the 10 minute rest, I sliced some fresh tomato and tore up some cilantro. Once properly rested, I stacked the burger on a bun, topped with the tomato and cilantro and slathered on some salsa verde I had made the night before with fresh tomatillos. The burger was juicy and perfectly cooked. The tomato, cilantro and salsa verde added a level of homemade pizazz that can only be found with fresh ingredients cooked perfectly to ones own personal preference. Nothing on this burger was squeezed from a can or squirted from a bottle — It did have store-bought bread — but I can assure, the burger, with all these fresh toppings was a culinary experience. A painting of flavors that excites the taste buds rather than the retina. This burger was the best single thing I had eaten in a while. I made enough to make four sandwiches. Which means that the other three were stored and will become meals over the next few days. Two lunches and one more dinner most likely. The leftovers won't be as good as the fresh-off-the grill burger, but it will be better than McDonald on any day — and a hole hell of a lot cheaper! Season patties with salt and pepper to taste. Preheat grill to high. Sear patties for 5 minutes on one side, with lid of grill closed. Flip. Sear two minutes more, lid on. Add cheese, close lid, cook three minutes more. Remove from grill. Let rest 10 minutes. 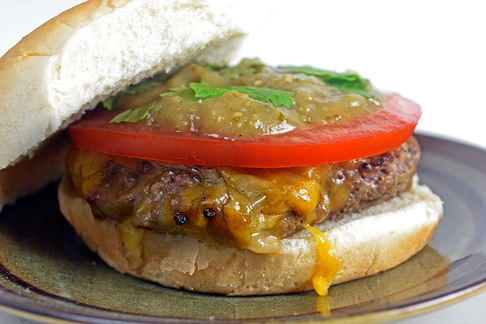 Top each burger with tomato slice, salsa verde and fresh cilantro. Then serve. In a little oil over medium heat cook onion and jalapeno until soft, 4 to 6 minutes. Salt and pepper to taste. Add garlic, cook 1 minute more or until fragrant. Add pineapple juice. Increase heat and bring to a boil. Let liquid reduce by 3/4ths. Add tomatillos and cook 4 minutes more stirring occasionally. Add water, reduce heat and simmer until liquid is reduce by 2/3rds, approximately 1 hour. Let mixture cool a little and pour into a bender, add cilantro, zest and juice of limes. Blend into a smooth sauce, 3 to 4 minutes. Adjust seasonings and serve on tacos or burgers. This is the second dish I made from a 4 lb package of chicken thighs I had gotten for 88¢ per pound, the first was grilled thighs with potatoes and broccoli. I was planning on making three but just before adding the portion of roasted chicken I had set aside for the soup, I said to heck with it and threw all of it in. I'm glad I did because it made the soup extra chunky with lots of chicken. 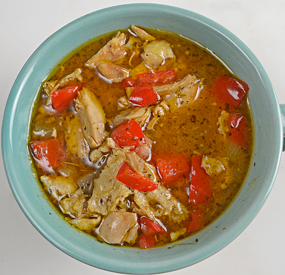 This soup makes 4 big servings, add that with the two servings from the grilled thighs and that's 6 meals, making the chicken expense for all roughly 65¢ per serving. That is a great price point to start with and a good way to save a little extra money. Soup freezes well so if eating the left overs the next day doesn't appeal it can be made into a tasty ice cube and thawed for later. 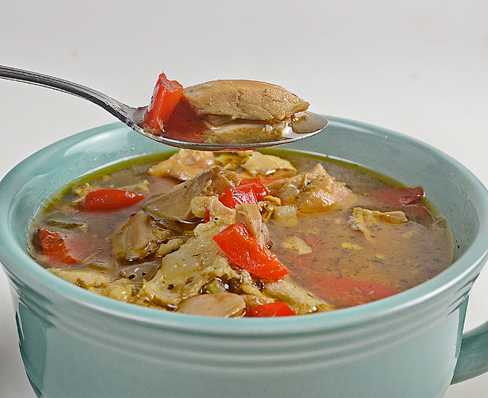 This soup features the chicken but I also added two red peppers to the mirpiox. They were on sale at the grocery and I love their sweetness — hands down they are one of my favorite items to add to soup. If I would have had time I would have roasted the peppers before tossing them in but I needed my time for this soup dedicated to a long cook. Chicken thighs provided a buttery-rich flavor to the broth when given at least 45 minutes to simmer over low heat. As far as I'm concerned that long simmer makes this soup — or any chicken soup featuring the dark meat. In a little olive oil saute the onion, celery and red pepper over medium heat until soft, 4 to 6 minutes. Salt and pepper to taste. Add garlic and Italian seasonings cook until garlic becomes fragrant, 1 or 2 minutes. Add white wine, vinegar and Worcestershire sauce, increase heat, bring to a boil and let liquid reduce by 3/4ths, 5 to 7 minutes. Add broth and chicken, lower heat and simmer for 45 minutes to an hour. Adjust seasoning if necessary. Remove from heat and serve. I have become much more efficient with my grocery shopping and eating. I opened the package and immediately set two aside to grill for lunch. The others were prepped and roasted for other uses. I like to cook bone-in thighs for at least 25 minutes on the high heat of the grill, or until the bone starts to recede from the meat, whichever comes first. To start it though, I like to sear it skin-side down for 8 to 10 minutes, so there is a nice and charred crust on the skin, I'll turn it a couple more times after that, but I make sure that the initial sear is long and hot. There is nothing better than crunchy chicken skin, its my favorite part of the bird! Once the meat was cooked through I pulled it from the heat and let it rest for at least 10 minutes. It was during this time that I prepared the sides for this meal, which were steamed broccoli and Italian seasoned potatoes. 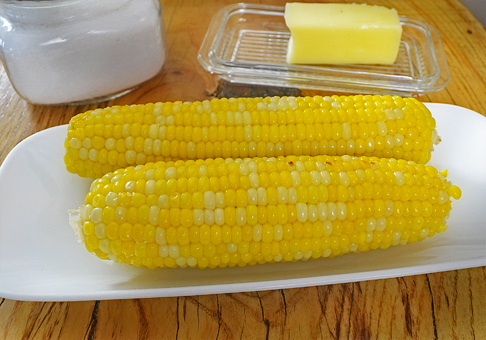 Fresh ingredients steamed in the microwave – supper simple. As I began to devour this feast, I was completely smitten by the crunchy well-seasoned skin, which I ate first. Then returned to the perfectly cooked dark meat. 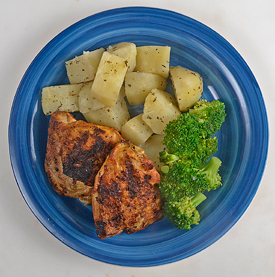 The potatoes and broccoli were just there for filler and dietary reasons and paled in comparison to the yummy thighs, but they made a nice compliment to the star of the meal. Prehaeat grill to high heat. Season the thighs with salt and pepper then dust with the cumin. Once grill is ready sear chicken skin-side down for 8 to 10 minutes, turn and cook 12 to 15 minutes more turning a couple time until meat is cooked through or to an internal temperature of 160° remove from grill and let rest at least 10 minutes. Place potato chunks in a microwave steaming bag, season potato with salt, pepper and Italian seasoning. add a tablespoon of water. Seal and microwave for 7 minutes on high or until cooked through. Remove from bag. Rinse bag add broccoli and a tablespoon of water. Season to taste, seal and microwave on high for 3 minuets. Remove from bag. 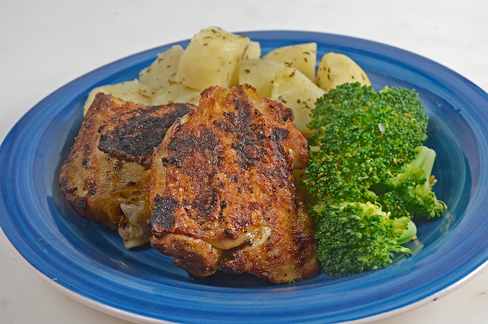 Serve potatoes and broccoli with chicken thighs. Last weekend my Dad gave me a gallon-size freezer bag full of jalapenos harvested from his garden. The wet spring and summer in Northern Indiana did wonders for his plants and the bounty this year was much larger than in years past. I used 18 right right off the bat by making poppers at the family campground, but I still had half a bag leftover and I ended up bringing them home. I was cleaning in the kitchen Friday night and that mess of peppers was just sitting on my counter screaming "what are you gonna do with me!" After some thought, I decided to pickle them. They would never go bad if I did that. I have pickled jalapenos before. This time, I did it a little different. Instead of just pouring the simmering liquid over the jalapenos in a bowl and then letting them cool — I added the peppers to the simmering liquid and let them cook for a few minutes. This changed their appearance to that olive-green color, similar to pickled jalapenos found on grocery store shelves. I let them cool, jarred them and put them away. With the peppers in the fridge, Saturday night rolled around and I couldn't wait the recommended two weeks to let them fully pickle before trying them. I decided to make the occasion special and create a homemade nacho cheese for some gourmet ball-park-style nachos! My favorite nachos feature runny cheese sauce. This type of sauce requires a little work. It starts with sweating down aromatics in butter, making a roux, adding milk and thickening it into a gravy and then the crucial part - gradually melting the cheese and making a gooey delicious sauce to scarf on. It takes some patients to make, but totally worth it. Once I had my sauce, I broke out the peppers and a late night nacho feast ensued. 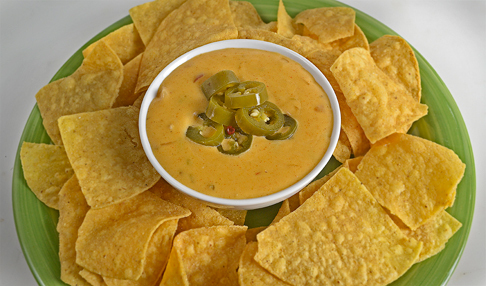 The fresh-pickled jalapenos were rife with flavor — spicy and tangy. The cheese sauce — creamy with lots of depth. Making it extra yummy were the fresh-made tortilla chips from the deli of a local grocery I had purchased earlier in the day. All together, it made for a legendary plate of nachos. The best part: I still have enough nacho cheese for another batch or two waiting in the fridge! Mix together vinegar, water, sugar, salt, peppercorns and Old Bay seasoning in a pot over medium-high heat. Bring to a simmer. Add sliced jalapenos, return to simmer and let cook 10 minutes. Remove from heat and let cool. Transfer mixture to a resealable jar and refrigerate. Best if left to pickle for two weeks but can be eaten before. Melt butter in a sauce pan over medium heat. Saute onion and jalapeno until soft, 3 to 4 minutes. Season with salt to taste. Add Chili powder, cumin and garlic cook 1 minute more. Stir in flour, mix well and let cook two minutes. Add milk and whisk until well incorporated, bring to a simmer and let thicken, 3 to 4 minutes. Add cheese 2 tablespoons at a time, whisking and stirring until completely melt. Repeat until all cheese is mixed in. Adjust seasoning if necessary. 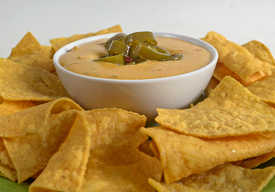 Serve with tortilla chips and pickled jalapenos. Old El Paso Pork Chops seasoned with American Taco Spice. I always have a homemade Mexican seasoning in my pantry that I like to call American Taco Spice. If you sprinkle two tablespoons of it on a pound of ground beef, it will taste just like meat seasoned with the spice packet found in an Old El Paso taco kit. This type of taco seasoning and the popularity of tacos from Taco Bell have become the standard "taco" flavor in the U.S., although real Mexican tacos are vastly different. My American Taco Spice seasoning doesn't require any water and it has no preservatives. It has a fresh taste with bolder flavors than the spice packet and makes for a mighty fine American taco. The star of the show is chili powder and cumin followed by salt, pepper, onion powder and garlic powder. I use the seasoning on any cut of meat, not just for tacos and it's especially tasty on burgers. 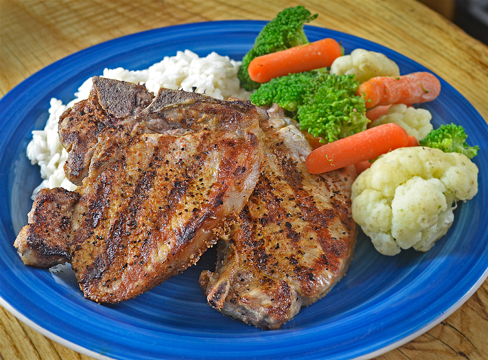 For this recipe, I sprinkled it on bone-in pork loin chops that I grilled for lunch. (Hence the name Old El Paso Pork Chops!) Joining the chops on the plate are microwave-steamed veggies and plain white rice. It was a healthy meal for two and the seasoning was key to making it extra delicious. The whole plate takes around a half hour to make. Mix together well. 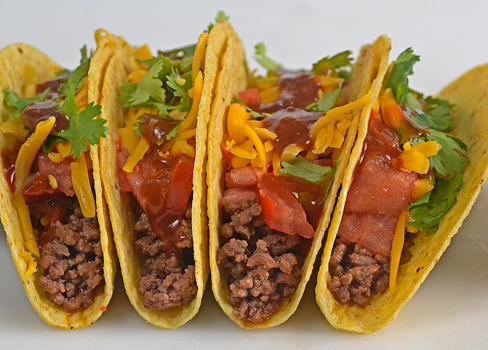 Use to season individual cuts of meat or 2 tablespoons per pound of ground meat for tacos. In a pot or sauce pan, stir rice in a little oil over high heat until well coated. Add 2 cups of water, boil and cover. Reduce heat to medium-low let simmer 10 minutes. Turn off heat, do not remove cover. Let steam until chops and veggies are finished. Remove lid and fluff. Place chops over direct heat on grill. Let cook 3 1/2 minutes. Flip and cook 3 1/2 minutes more or until internal temperature reaches 130° for medium. Remove from grill, let rest 10 minutes. In a microwave steam bag, Cook vegetables on high for five minutes. Let steam an extra minute or two more once microwave shuts off. Remove from bag. Start microwave as soon as chops are removed from grill and are resting. Place a scope of rice, some veggies and a chop on plate and serve. 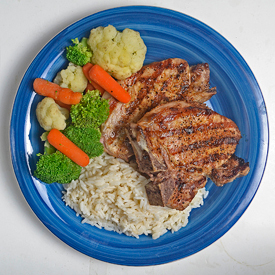 The chops were on sale: 3 weighing 1.30 lbs @ $2.99 per pound cost $3.89. The veggies were 40% off and cost $1.49 for 1 12 oz bag. The rice and seasoning were in my pantry. So the total cost of the fresh ingredients per serving was $2.68. That's a steal for this yummolicious meal!